The recruitment process has experienced many changes over the period of time. Earlier, the process was completely offline and includes filling of forms from initial registration to the examination and for the counselling processes. Both the students and the teachers have to fill long and tedious forms throughout the recruitment process. 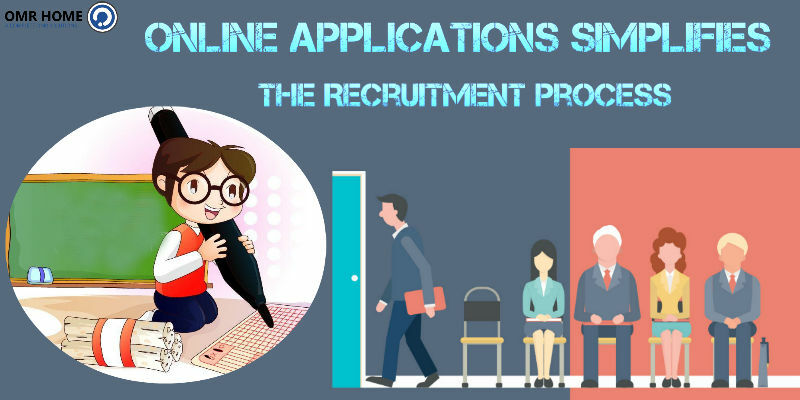 Now, the system has changed and the recruitment agencies have switched to online platforms. This includes the initial registration and examination that is conducted using the online media to ensure a hassle-free selection procedure. Smart examining techniques have been incorporated to get the best suited candidates for their organizations. OMR based recruitment drives are the most widely accepted and popular to have an effective selection of candidates. The OMR sheets are easy to fill and provides fair criteria to choose the most suited aspirants. These sheets require darkening of appropriate bubble against the corresponding set of questions. The OMR response sheets are evaluated using the optical mark recognition technology. This technique is used to read human-marked data. The organizing authorities incorporates either an OMR scanner or an OMR software to read the data encrypted on the OMR sheets. The OMR scanners are designed to evaluate the traditional OMR sheets. It will directly process the inserted set of sheets to produce effective scores. These machines are bigger in size and the maintenance cost is high. Furthermore, the OMR softwares can be attached to any of the scanner units of type flatbed, MFP, ADF, etc. The scanned OMR sheets are processed through an OMR software to read the responses marked on the sheets. The software is flexible to use and their cost of maintenance is low. Verificare the OMR software provides an extra-edge over the traditional OMR softwares. It can easily design, crop images and export data. The user can design a variety of OMR sheets matching his set of requirements. Attach an organizational logo using the crop image feature. The analyzed data can also be stored on a cloud that can be used for further forefront analysis. So, the best solution for recruitment drives is to conduct the OMR based papers from initial registration to the final examination, thereby ensuring a smoother record maintenance and analysis.